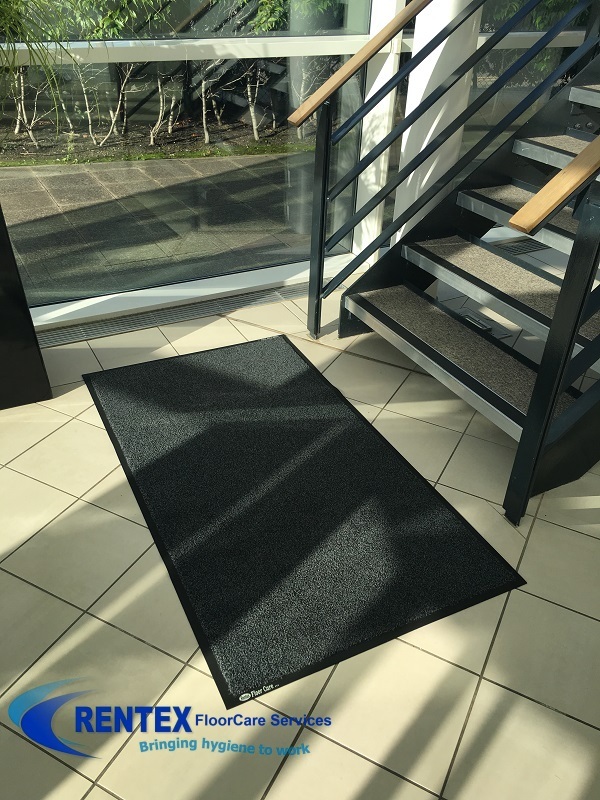 Tacky mats for Pinderfields hospital, dirt control tack mats also known as sticky mats are simply stuck to the floor near an entry or exit door by removing the rear protective backing layer. Each of the tacky mats are peeled off when dirty to reveal another new layer. 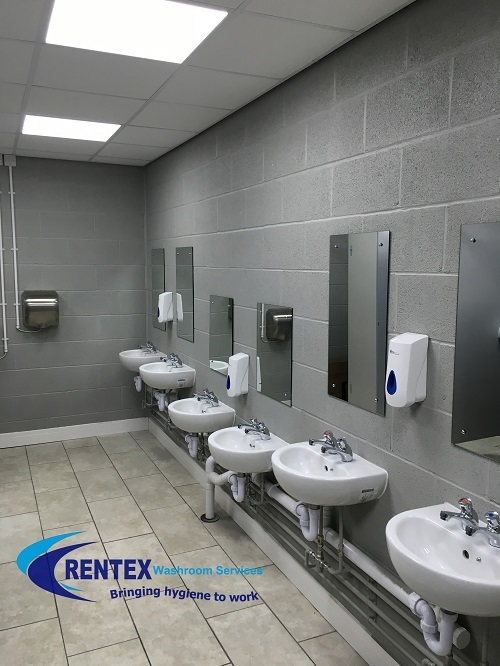 Each layer is coated with a high tack adhesive which removes dust or dirt contamination from entering clean areas. The tacky mats can last up to several weeks at a time depending on the amount and type of traffic. 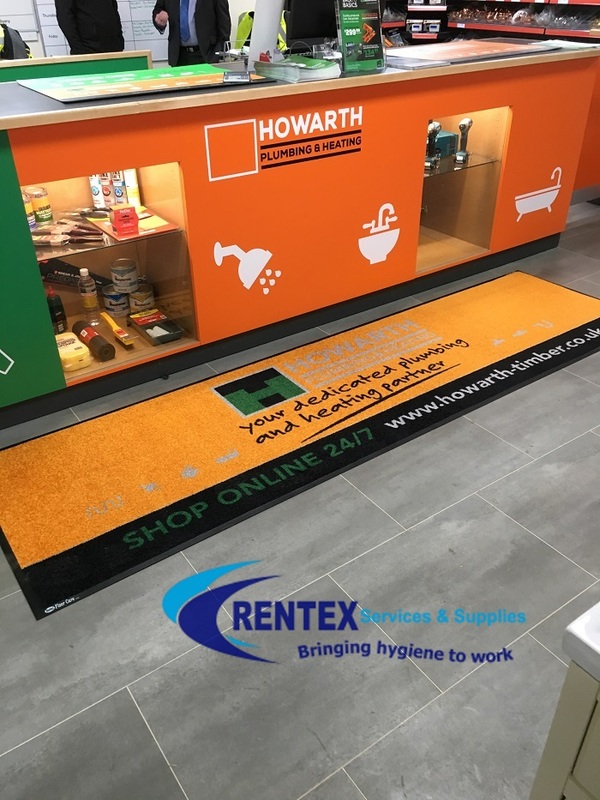 Tacky mats remove contamination and cleans shoe soles before entry into areas such as; clean rooms and laboratories etc but can also be used in domestic applications. Tacky mats are ideal for to keep dust, dirt, and other particulates from spreading due to foot traffic. As foot traffic or wheels pass over the surface of the tacky mats the non-transferring adhesive locks onto the dirt and captures it. Tacky mats are comprised of 30 layers of adhesive-coated film that effectively removes dirt from shoes, equipment wheels, and even pet paws. Placing tacky mats in high traffic areas and main entrances will help protect and extend the life of floor finishes, carpets and home and office furnishings. 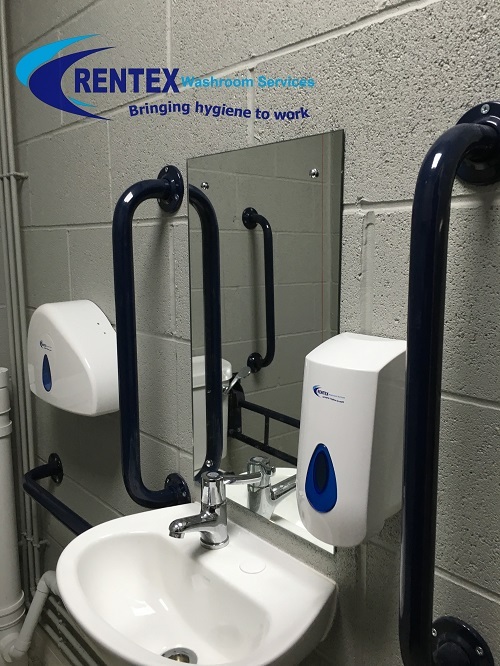 Rentex are pleased to provide hospital contractors with these mats and can normally be delivered on a next working day basis. Tacky mats for Pinderfields hospital, removing contamination and cleans shoe soles before entry into areas such as; cleanrooms, laboratories and computer rooms. This will depend upon the contaminates in the environment, the amount of foot traffic, and how long it takes you to process supply acquisitions in your company. Buy Multi Layer Tacky Sticky Dirt Control Mats. Reorder tacky mats when you are a few weeks from running out. 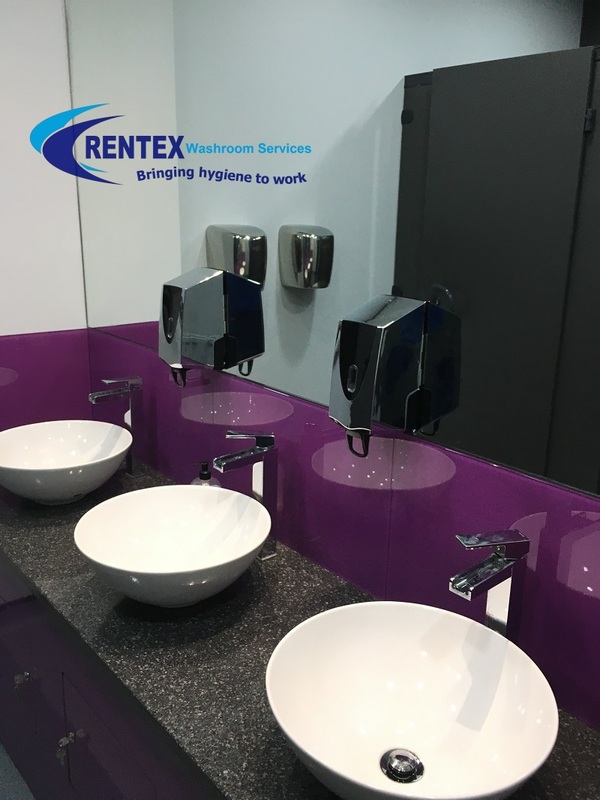 Contact Rentex or use the Buy It Now button above. Always place numbered tabs closest to your clean area so that sheets are removed in the direction away from the clean room. Place tacky mats outside the room at every entrance with the numbered tab closest to the clean area so that when a sheet is removed, the contaminated sheet is peeled away from the entryway. 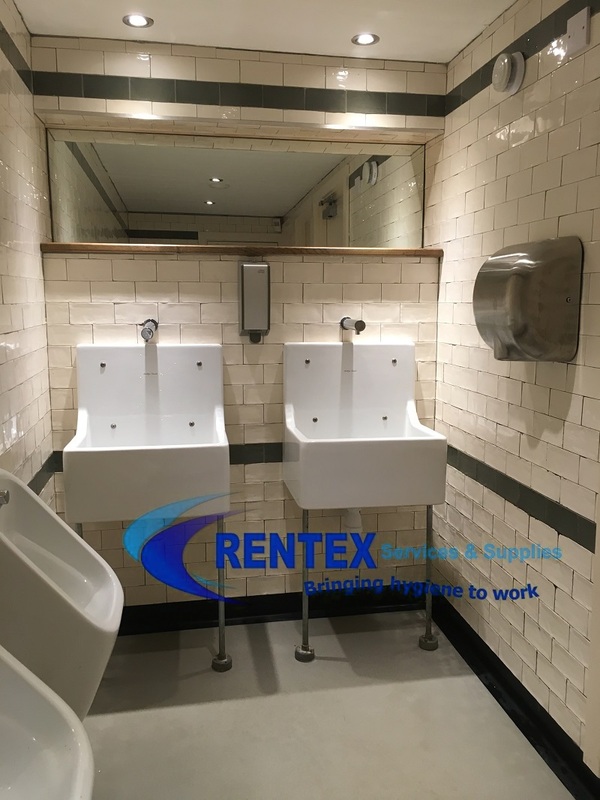 When tacky mats are positioned inside the environment at each exit, position the numbered tab nearest the room interior so that when a sheet is removed, the contaminated sheet is peeled toward the exit. The length of the mat should capture a set of footprints, a minimum of 30″. Install smaller mats so that the longer side of the mat follows foot traffic. Make sure the floor surface (or frame, if using a frame) is completely dry and free of debris. Use a damp wiper to remove any latent dust. The bottom of the mat has a sticky sheet protected by a clear cover sheet. Remove this cover sheet to expose the bottom “sticky” sheet. Then, place your sticky dirt control mats in the desired location. If you are using a frame, center the mat on the frame surface. When you are ready to use your mat, remove the clear cover sheet on the top to expose the first sheet. The tacky mats numbers should face up after installation. If your tacky mat was placed on a dirty surface or no longer remains stuck to the floor or the frame, you can use double sided carpet tape (not the thick foam type) to anchor it again. The tape is available at most hardware and home stores. Turn your mat over, brush off any debris and place 3 or 4 strips of carpet tape across the bottom of the mat. Again, make sure the floor or frame surface is completely clean and dry before adhering the mat. Use the numbered tab to initiate the sheet removal, then slowly peel up the edges toward the middle to form a bag. Always peel layers in the direction away from your critical environment. Expose a fresh layer before a sheet loses all it’s stickiness. If you wait until it is no longer sticky, you’ve waited too long and this will reduce the effectiveness of your tacky mats.